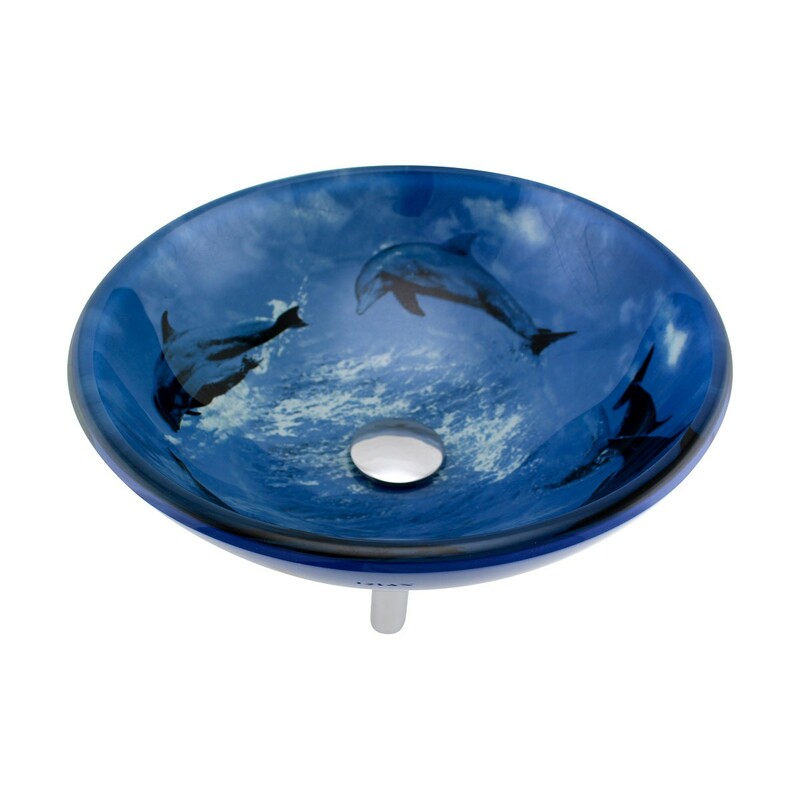 The “Dolphin” round vessel sink from Renovator's Supply features an inspiring ocean design and durable tempered glass construction. 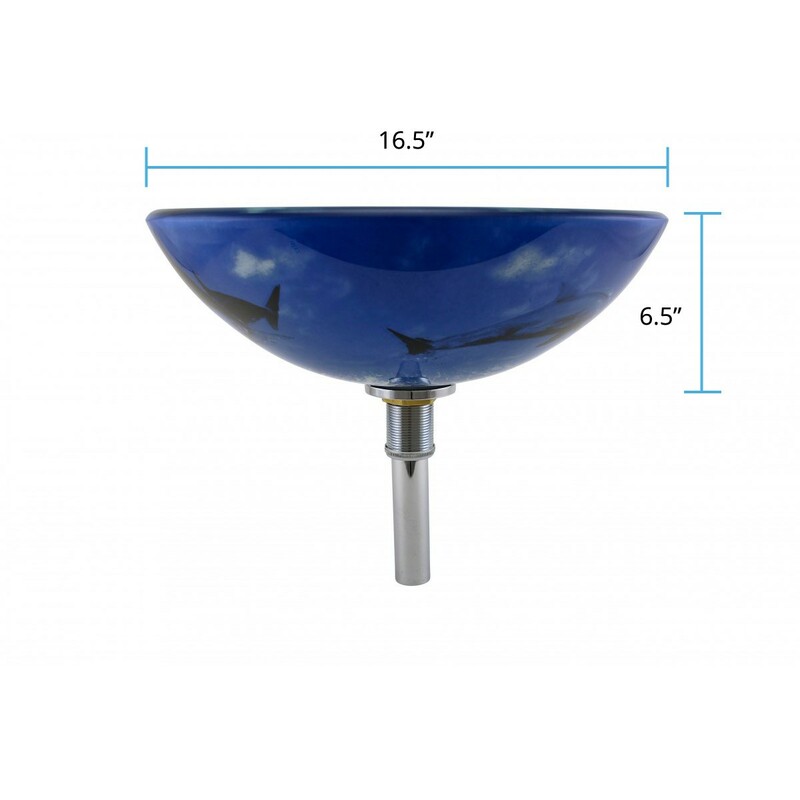 This listing comes with a chrome pop-up drain, mounting ring and premium silicone gasket. 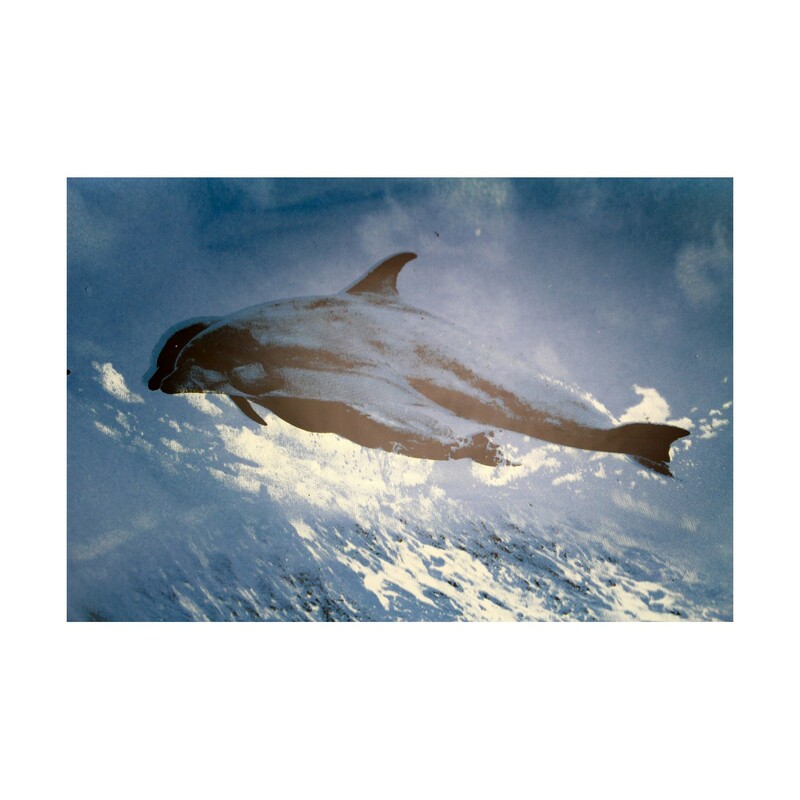 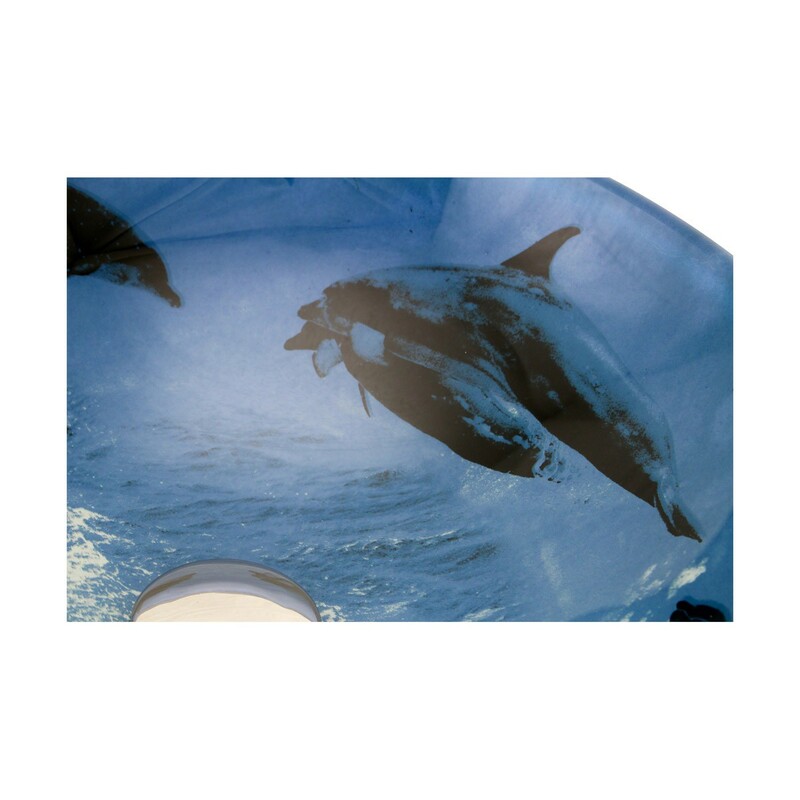 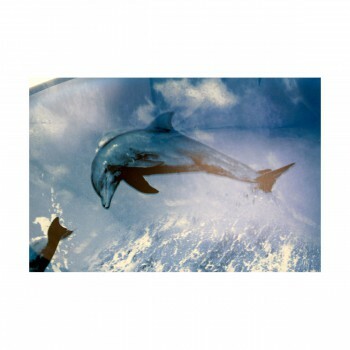 - The Dolphin is a blue tempered glass sink. - Tested and certified to meet IGC 172-2005, CSA B45.0-02, CSA B45.11-04 standards. 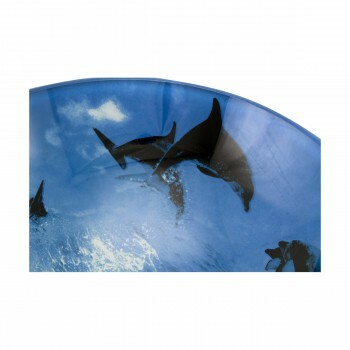 - 5 times stronger than regular glass, heated to 1202 degrees F for maximum quality. - Drain, pop-up ring and silicone mounting gasket included. 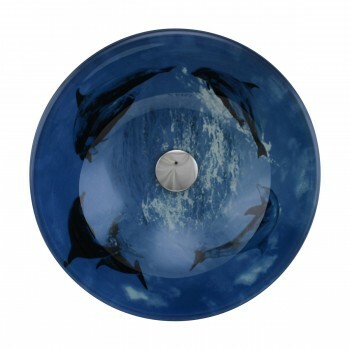 - Design Inspirations: Oceans and chic modern bathroom fixtures. 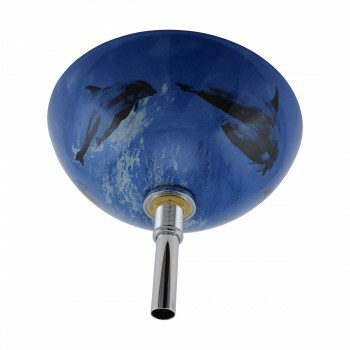 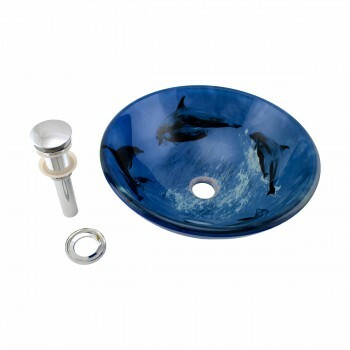 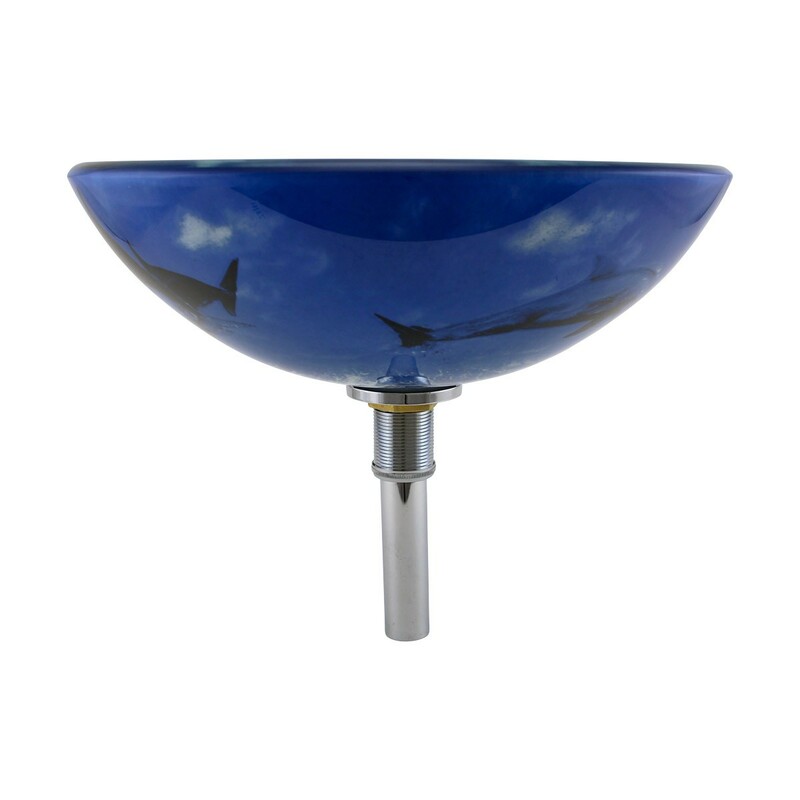 - One (1) Dolphin Glass Vessel Sink with drain, mounting ring and silicone gasket. 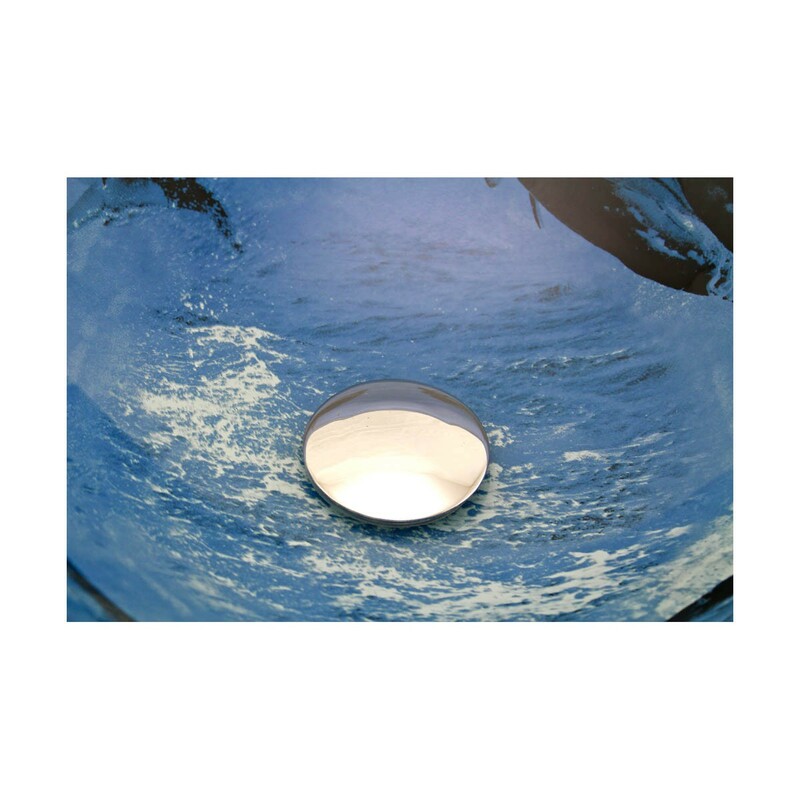 It's not as bright as the photos shows. 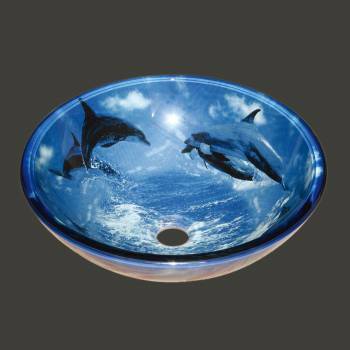 But it will work for my dolphin themed bathroom.